Every woman needs a WIFE, who counsels and empowers, who listens and advises, and offers comfort when needed. The Women’s Institute for Financial Education (WIFE.org) is the oldest non-profit organization dedicated to providing financial education to women in their quest for financial independence. We are a charitable organization under Internal Revenue Code Sec. 501(c)(3). All donations to WIFE.org are tax-deductible. The Women’s Institute for Financial Education (WIFE.org) was founded by Candace Bahr and Ginita Wall, renowned experts in women’s finances. They share a passion for helping women connect with resources to help them prosper and grow financially. Under the guidance of Candace and Ginita, WIFE.org has gained national prominence, and WIFE.org recently was named one of the top 500 financial sites by Online Investor. WIFE.org has captured the interest of women seeking financial advice as well as the press seeking financial information for women. And our corporate sponsors have demonstrated through their integrity their interest in women’s financial success. 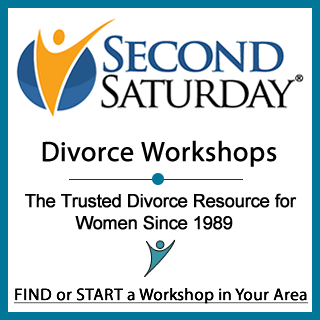 Our nationally acclaimed website, renowned Second Saturday seminar, books, workshops, and newsletters are all made possible by generous donations from the public and the sponsorship of companies dedicated to providing women with the tools they need to succeed financially. Membership is open to everyone, male or female, interested in promoting financial education and economic independence for women. To become a member of the Women’s Institute for Financial Education, click here or send your $25 tax-deductible contribution to WIFE.org, Box 910014, San Diego, CA 92191. To find out more about Corporate Donations and Partnerships ,with access to a variety of opportunities to reach women everywhere, click here or use our contact form.